Join us for an exclusive event hosted by Mohawk Group highlighting Moving Floors, the multi-award winning flooring collection designed by 13&9 for Mohawk Group, on Thursday 12th May from 5:30 to 9:30 PM at 873 Broadway (at 18th Street), Suite 410 in New York City. The event features 13&9 and INNOCAD creative directors, Anastasia Su and Martin Lesjak, as well as a fashion and sound installation inspired by Moving Floors. The display is part of the “Architectural Fashion” exhibition, which will also be shown at the 2016 Venice Architecture Biennale. 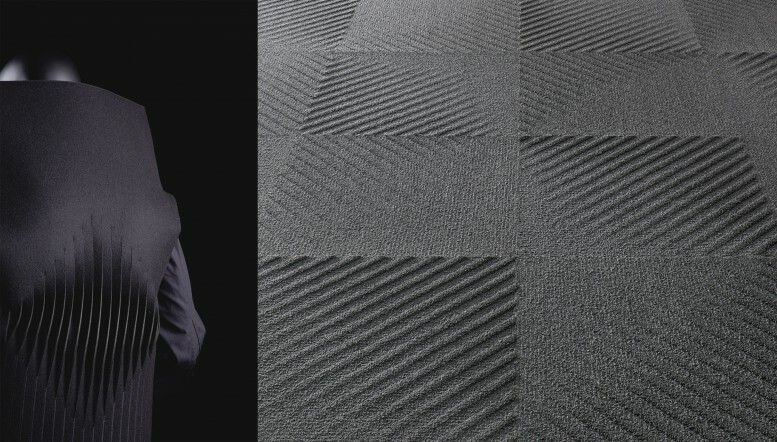 and electronic music producer Severin Su to create a fashion and sound installation inspired by their three signature projects: Golden Nugget, Rolling Stones and Moving Floors that has been previously exhibited in Berlin.